Colorado isn't all about skiing. There are a lot of other great things to see and do while on your Colorado vacations. The Royal Gorge Bridge & Park in Canon City is home to the world's highest suspension bridge, steepest incline, scariest sky coaster, and the Aerial Tram to see it all. If you near Mosca, you can stop in and see the gators at Colorado Gators Farm. You can watch gator wrestling and see other animals that are there. Dunton Hot Springs offers a country getaway. With cabin lodging renovated from a turn of the century ghost town it is a rustic delight. This would make a delightful romantic vacation spot. End your day of exhausting activities like biking, kayaking, and hiking with a dip in the amazing hot springs. Who could go on Colorado vacations and not see the Rocky Mountains? 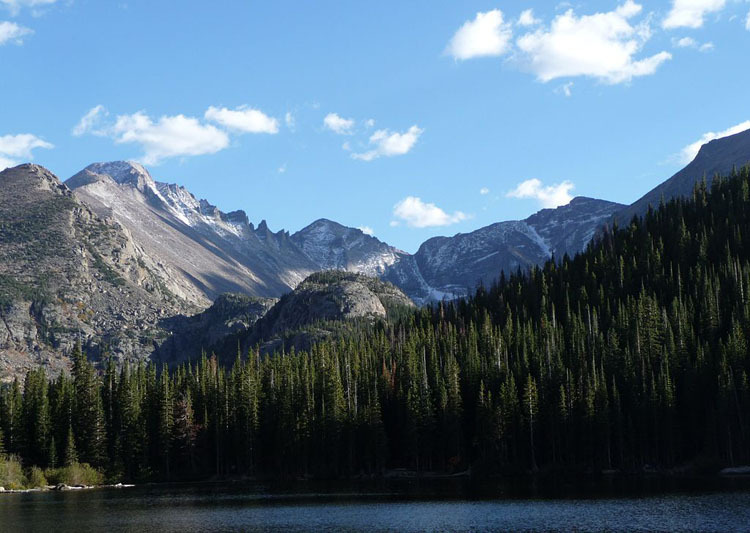 With an elevation of more than 12,000 feet, there is a total of 60 summits that are located within Rocky Mountain National Park. Don't miss Bear Lake's turquoise blue waters and amazing wildlife. There is ample lodging of all kinds for overnight stays to ensure you have the time to take in all that the park has to offer. A shopping lover's paradise can be found at 16th Street Mall in Denver, Colorado. This is a fabulous one-mile long outdoor mall lined with trees, benches, and flowers right in the middle of the city. The only traffic on this tree-lined street is on foot or the free shuttle. There are at least three hotels within walking distance to make for easy lodging on your shopping excursion on your Colorado vacations. Whether your Colorado vacations includes skiing down the mountain slopes, shopping at the mile long mall, or getting a rental car and a map to enjoy the scenery on your own there is plenty to do on Colorado vacations.